Follow Tag, our less-than-intrepid hero, as he’s dragged into a dilapidated world of miscreants, crazies, legends, and lore. Tagtropolis has not been tagged yet. 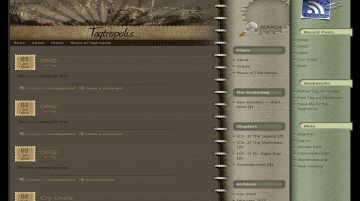 Help others find Tagtropolis by tagging it! Tagtropolis has not been reviewed yet. Tagtropolis has not been recommended yet.